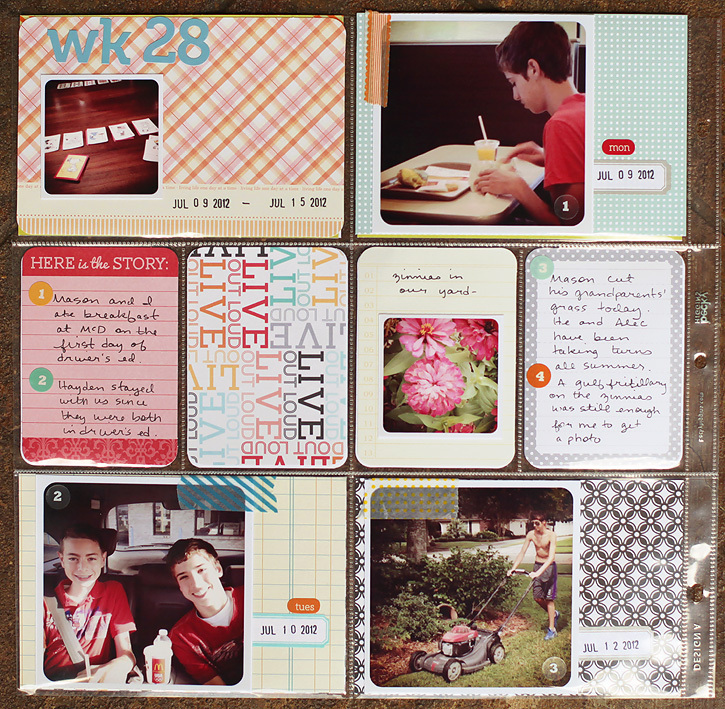 Today I'm sharing week 28. Mason went to driver's ed and practiced driving for the first time. We finally got the goal put back up and I'm so glad I have our fun night of card playing documented. I didn't do a lot of embellishing this week, just some Martha Stewart office labels to document the date and some letter stickers from my Studio Calico for the week number. 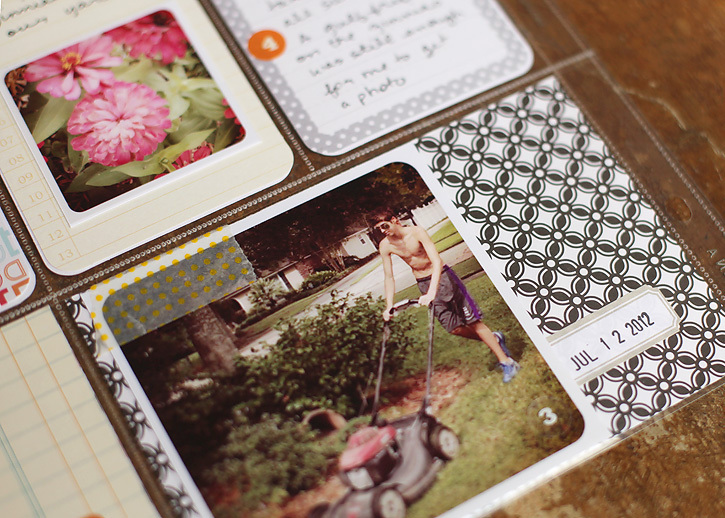 I love the coordinating number on the photos and the journaling. I might have to give that a try sometime. Thanks for the great idea! Driver's Ed?! Oh my, I know that is a milestone mixed with emotions. Deb, love your PL, beautiful the way you lay it out. 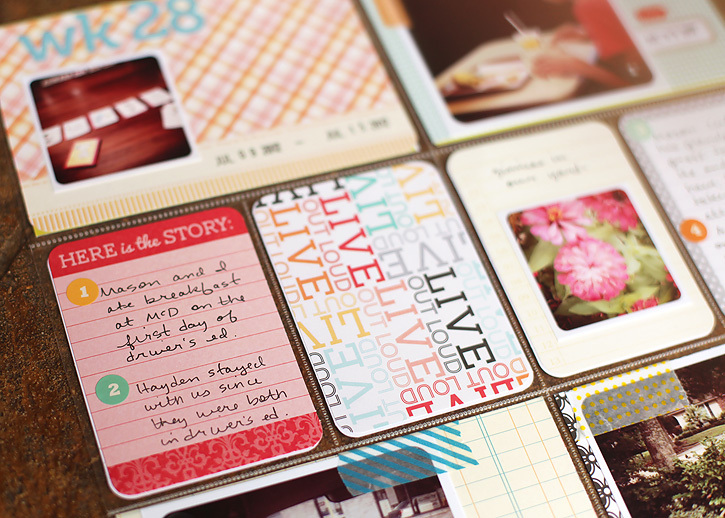 Your weeks look awesome with lots of embellishments or not! Love the card playing, I miss family game nights from my childhood! I always enjoy seeing how your week shaped up! Great photos and lots of fun! thats a nifty album! where did you find it? The binder, core kit and pocket pages are all available on amazon. If you want more information check out www.beckyhiggins.com. Where do you get your instagram photos printed? I print mine at home. There's a link in my sidebar under popular posts that explains how I print. 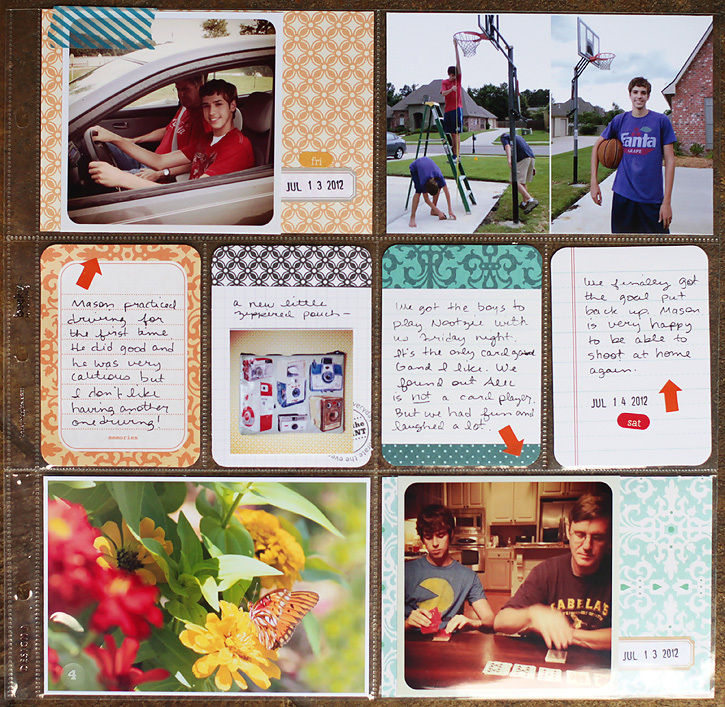 If you don't print at home, persnickety prints offers square prints I think. Thanks for sharing your week with us, I love the clean design this week I feel it really makes you focus on the photos. 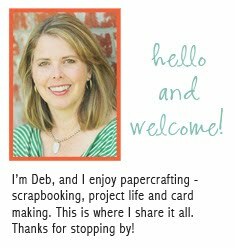 Hi Deb, I really enjoy the planned empty space next to several of your photos. You still get a great photo but also can see the pretty papers. Another great layout! I love looking at your PL pages! Makes me want to get busy working on mine. You have a real good lad. Cutting the grass. How many kids will do that in this day and age. Thumbs up for him. Love the way you did the pages.I love McDonalds also. Right on. My two Grandsons are doing Drivers Ed.Lots of practice also for the Parents with him. Right. What a good looking lad he is. I made a scrapbook for my Grandson also. Pop over and have a peek. You may have to climb over the older albums to see it. It has a red cover I made wit the soccer cup trophy . It is different. Lots of odds and ends. It was my first book I did for my Second Grandson . Redoing over a book in my bookcase. It was real hard. I did explain what I did. I had like 80 or more pages. For this old gal to do first time something different. From the sweat of my brow.it was a big job. Sometimes in days like that. You yell. Do I have Duck tape. One more Grandboy to do. Then I have distribued my Grandma's choice of hobby with them.So I feel like you. It was fun and you have accomplished something lovely for him. Your scrapbook is lovely. He will like it and it is something he can save and when he has a family . The beat goes on what his Momma did for him. Thanks for sharing sweet lady. Nice job. 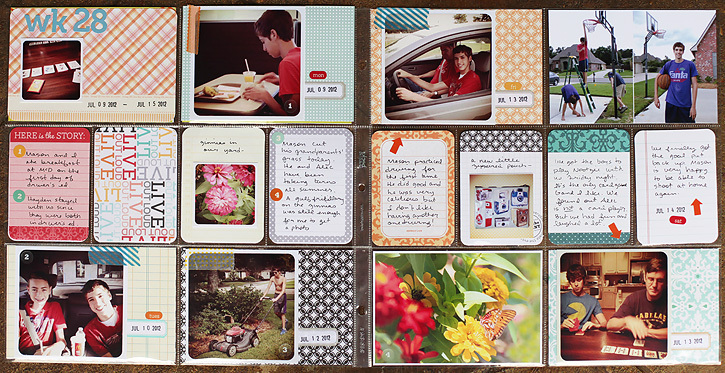 as always, I love looking at your layouts - great photography and everything flows well!